Mirror lock-up is a feature on almost all DSLRs that allows the photographer to flip up the mirror in the camera and then wait for any vibration from the mirror flipping to dissipate before tripping the shutter. The purpose of mirror lock-up is to control vibration in the camera so that camera shake does not negatively impact the photo. Mirror lock-up is never used by portrait photographers because it is too cumbersome and the shutter speeds most commonly used by portrait photographers are so fast that it would provide no benefit. Landscape and night photographers, however, frequently use mirror lock-up because they utilize long shutter speeds on almost every shoot. The idea is that it will add just a tad bit of sharpness to the photo because there is no vibration caused by the mirror. In my opinion, the best way to test sharpness of anything is to take a picture of a newspaper. This works perfectly because the subject is perfectly still and you can zoom in on the letters to easily see if the sharpness is improved. In this particular test, I used a 200mm lens so that any vibration would be magnified and I could see the reduction in sharpness caused by the vibration of the mirror. 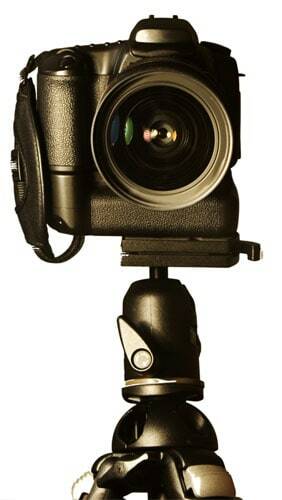 I took many test shots using mirror lock-up and no mirror lock-up with the camera mounted to a sturdy tripod. So did mirror lock-up show ANY increase in sharpness? Nope. Not a bit. The photos with no mirror lock-up produced precisely the same quality of photos as the photos with mirror lock-up engaged. I tried EVERYTHING to see if I could tell a difference. Firing multiple shots in a row with long shutter speeds didn't even affect the regular photo. Basically, the conclusion that I draw from this test is that mirror lock-up is a great THEORETICAL way to prevent vibration from affecting the image, but when it comes right down to it… it doesn't seem to make even the tiniest bit of difference. I suppose if you have a cheap tripod that is not sturdy, mirror lock-up could possibly help things slightly. With my sturdy tripod however, I couldn't see any tiny bit of difference between the shots even when I was trying to make the regular shot show vibration from mirror flap.